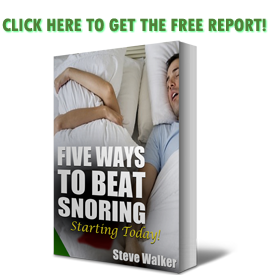 Hi, my name is Steve Walker, and welcome to The Snoring Mouthpiece Review. This site comes as a result of years of research into something so many North Americans have in common: snoring. This is a problem that affects the young, the old, fat and thin, black and white: it truly doesn’t discriminate. But more and more, we are discovering through studies that long term snoring is more than just some odd noises – it can be dangerous. Although there are certainly a lot of “temporary-solution”-style products out there that claim to stop snoring, such as sprays, nasal plugs, herbal supplements, and pillows, this site does not waste much time with those. Instead, this site is the culmination of years of practical, hands-on research into snoring mouthpieces. It aims to save you time when you are looking into a mouthpiece. Also, if you happen to save money by avoiding a specific device, more power to you! The Snoring Mouthpiece Review was designed with you, the consumer, in mind. It is my hope that you take the information available to you on this site, learn from it and apply the information that you find to make an informed buying decision. Disclaimer: I am a snorer, not a medical professional. I do not provide medical advice. Read the site’s other disclaimers here.